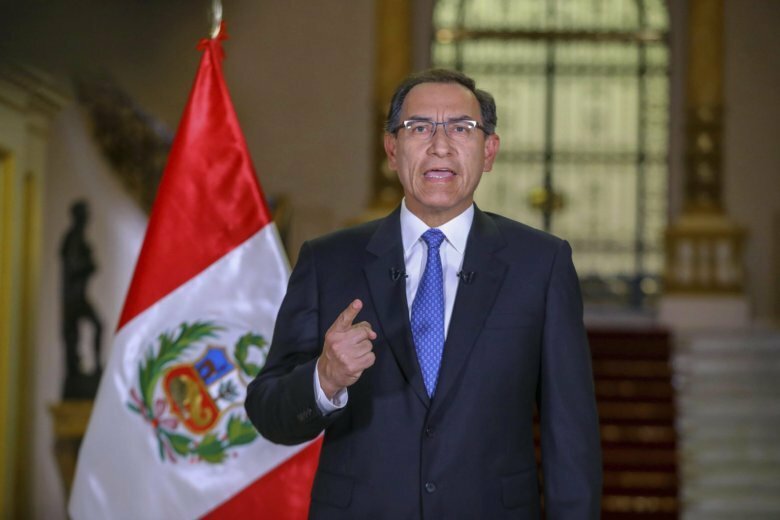 LIMA, Peru (AP) — Peru’s president is facing a standoff with lawmakers over his call for a referendum on anti-corruption measures. In a televised speech Sunday night, President Martin Vizcarra ordered the opposition-dominated congress to hold a special session Wednesday to debate his proposal. If they block it in a no-confidence vote, Vizcarra will then be empowered by Peru’s constitution to dissolve congress, something he has already threatened. Peru’s congress was last closed in 1992 during the authoritarian rule of Alberto Fujimori. But polls suggest they are rallying behind Vizcarra’s campaign to clean up politics following the leak of several videos showing judges negotiating bribes with politicians to settle cases. Vizcarra took over as president in March after Pedro Pablo Kuczynski resigned amid a vote-buying scandal.